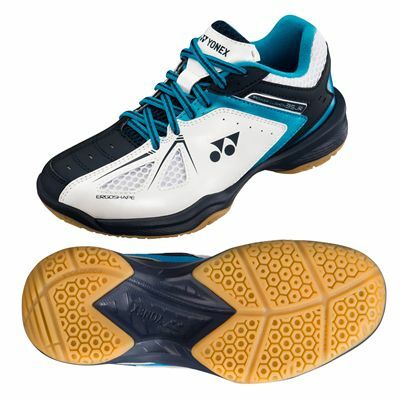 Perfect for badminton practice sessions, the Yonex Power Cushion 35 Junior badminton shoes are an excellent youngster’s choice with super comfortable and breathable upper made from sturdy synthetic leather and specially crafted mesh panels. The shoes ensure exceptional transfer of the kinetic energy and provide supreme impact attenuation with Power Cushion technology in the EVA midsole. There is also the Ergoshape of the upper allowing for smooth and stable movement and delivering a more optimised fit. Finally, the shoes ensure maximum traction and resistance with a rubber outsole featuring a specific Hexagrip pattern and round sole. for submitting product review about Yonex Power Cushion 35 Junior Badminton Shoes.